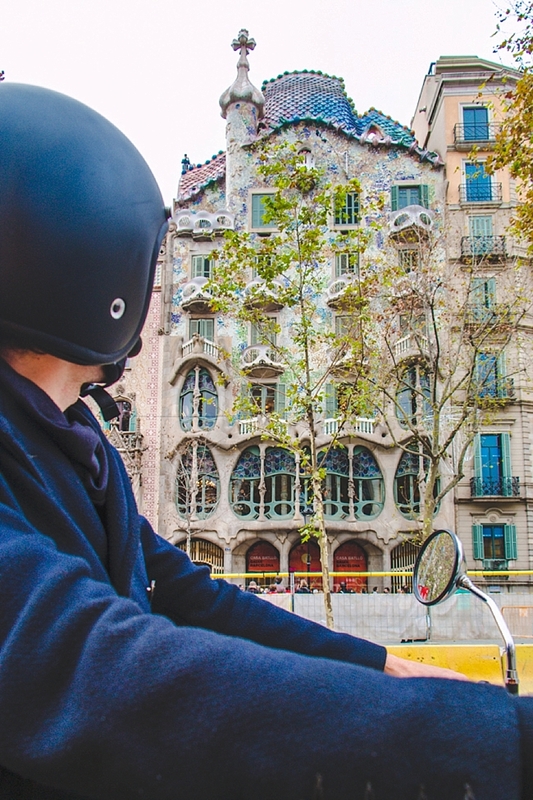 Imagine – the Spanish breeze, an adorable sidecar plucked right out of a 60’s movie and the marvelous city of Barcelona before you. 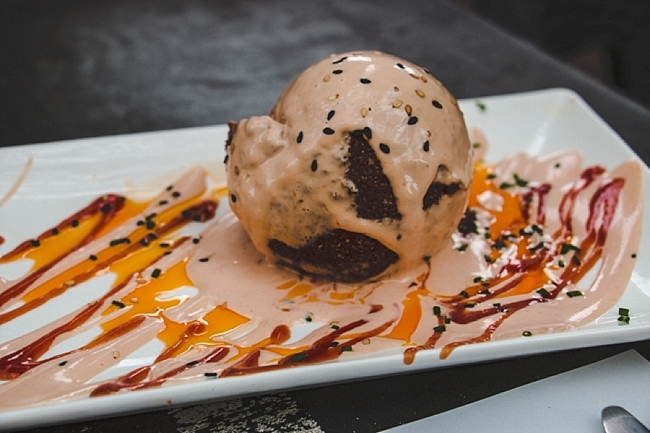 Muy bien is right. Dan and I took off with Joaquim and BrightSide Sidecar Tours for a day of gallivanting around the city in old-fashioned style. 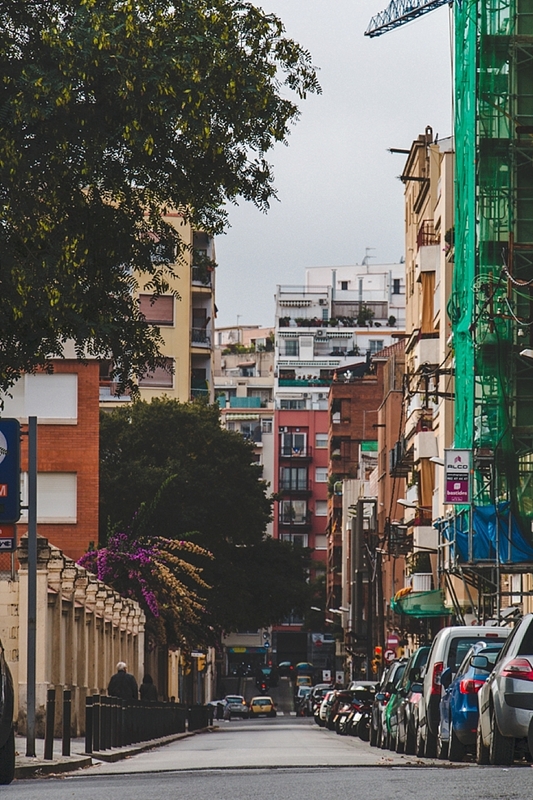 To start, our guide Joaquim picked us up directly at the doorstep of our Airbnb apartment. 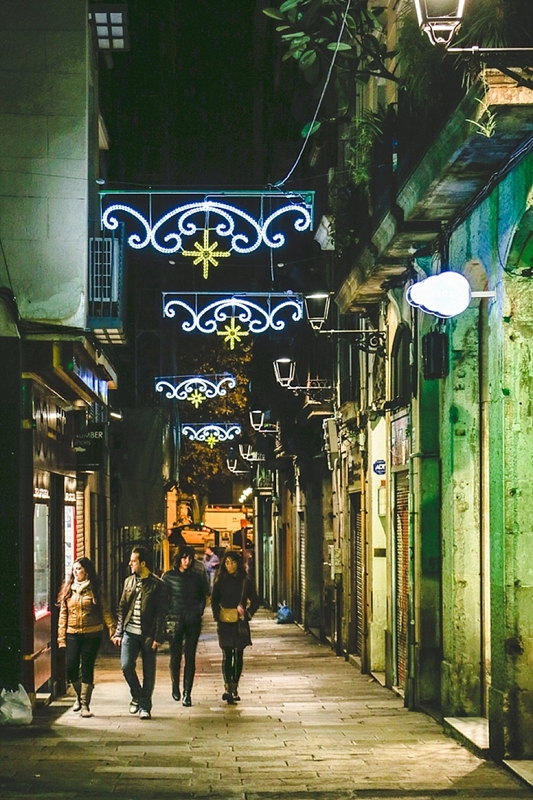 Joaquim is a long time resident of the city and respected historian. I immediately claimed the seat in the side car while Dan played it cool behind Joaquim. 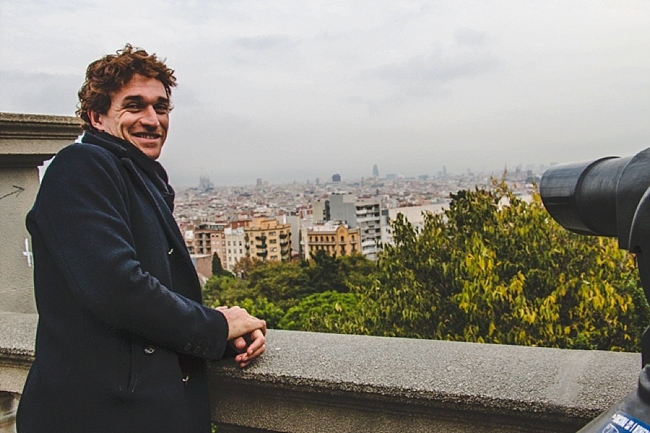 Before heading off, Joaquim chatted with us about our interests around the city. 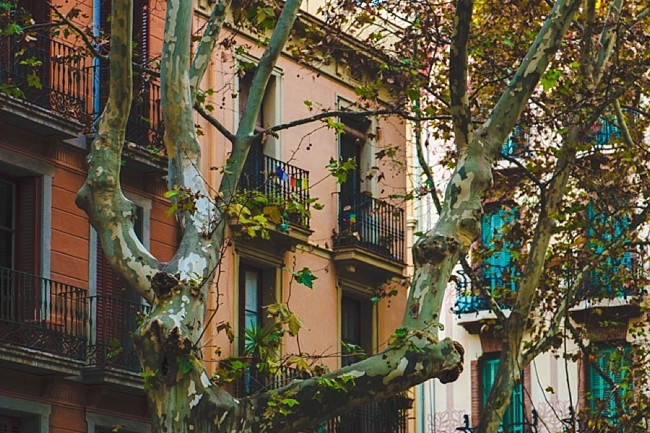 I was really keen on views (Montjuic) and seeing those famous charming Barcelona neighborhoods I’ve been drooling over on Pinterest (El Raval, El Born, & Gracia). 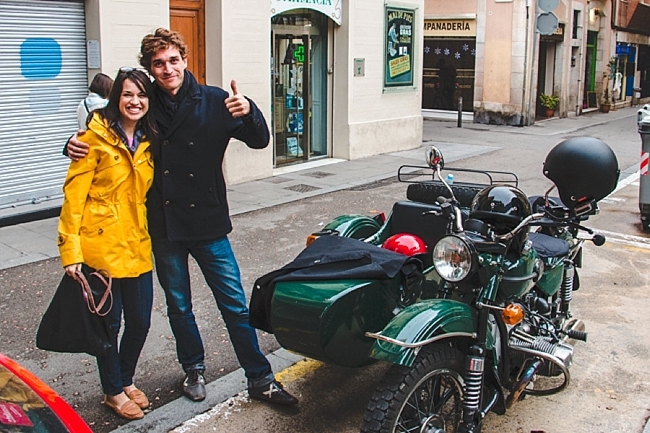 With the sidecar we scooted around easily, chatting through our mic-ed helmets as we toured. 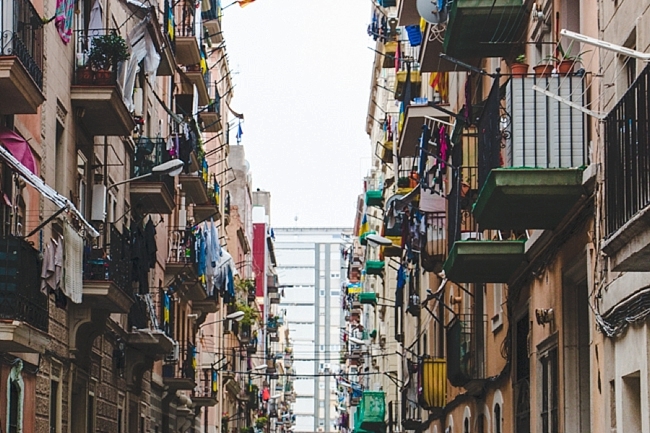 Our first stop was at Santa Maria del Mar in El Born. A gorgeous little church with heaps of history and stained glass. 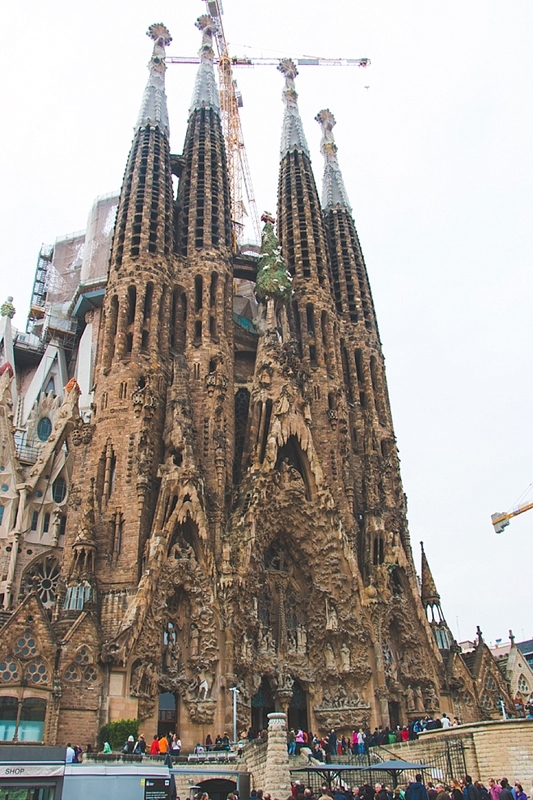 Afterwards it was on to La Sagrada de Familia (which we later toured inside) and through the Gracia neighborhood. 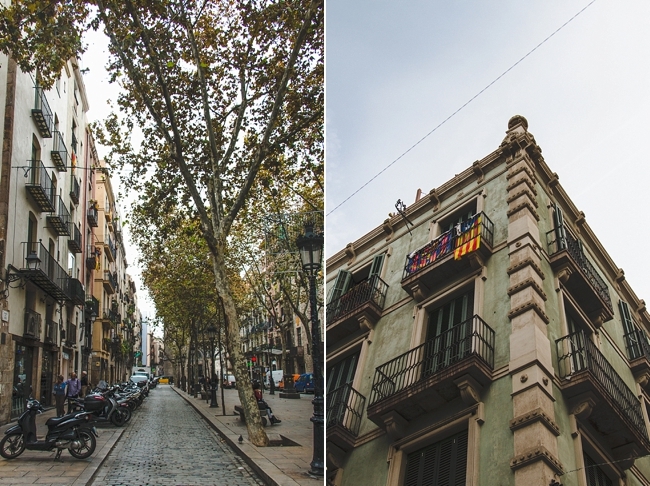 We cruised up the winding Montjuic overlooking the city and zoomed by Gaudi’s impressive Casa Batllo. 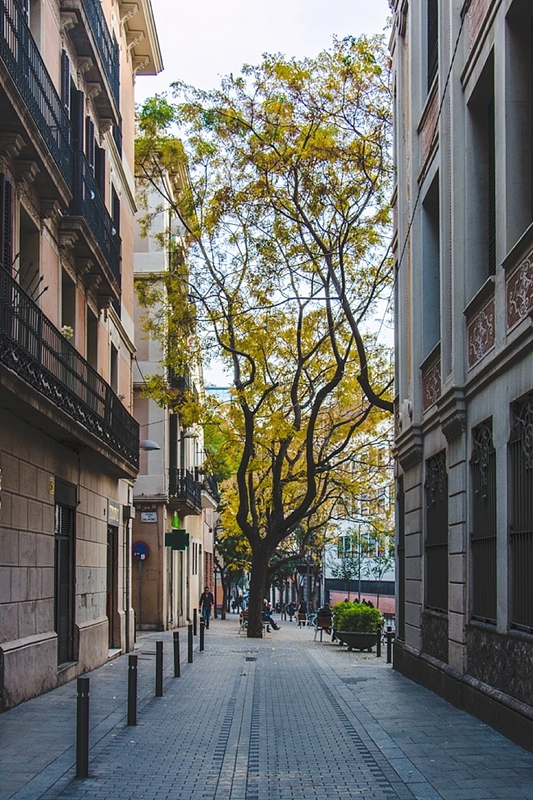 It seems that around every corner Barcelona has something beautiful to offer. 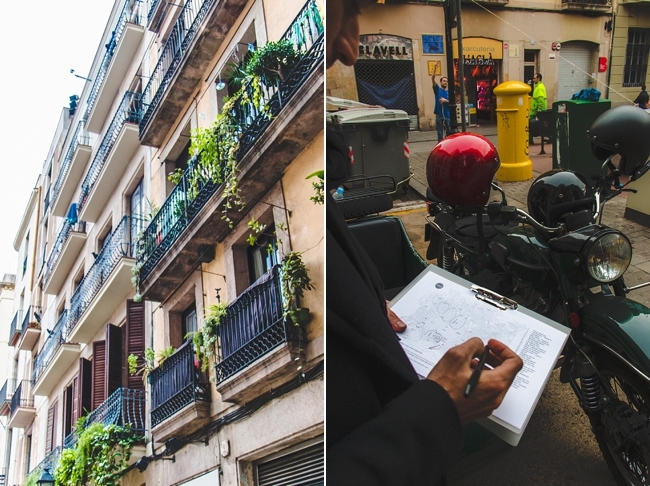 As the tour came to an end, Joaquim sketched out our route on a map and marked his favorite restaurants and shops in the area. 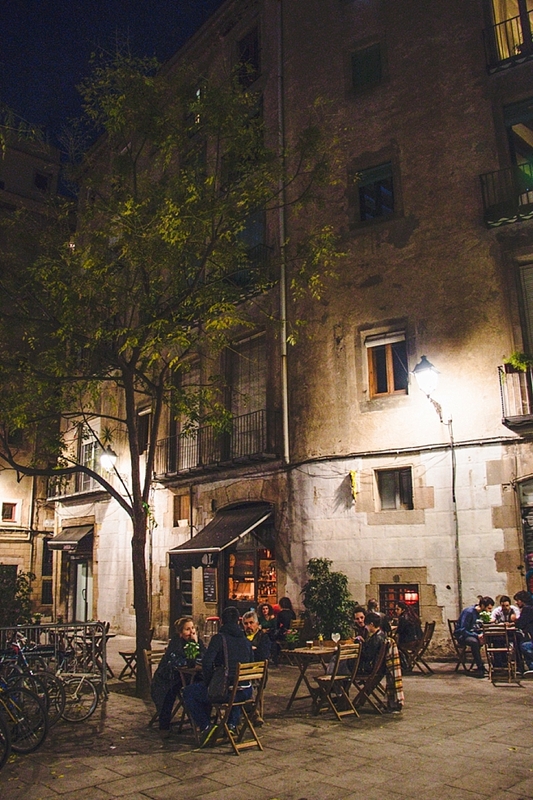 We asked to be dropped off in Gracia with our choice of zillions of tapas bars and cute boutiques. 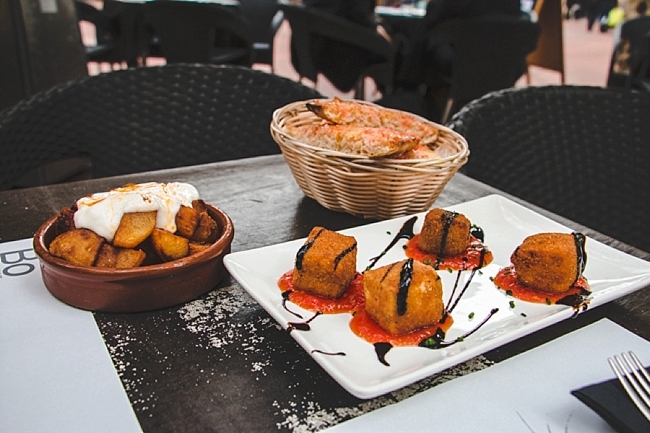 All of 100 feet from our drop-off point in one of the cute squares, we followed Joaquim’s advice and immediately grabbed glasses of sangria, yummy patatas bravas, pan con tomate and deeeelectable fried cheeses (the names forgotten at the same speed in which they were devoured). 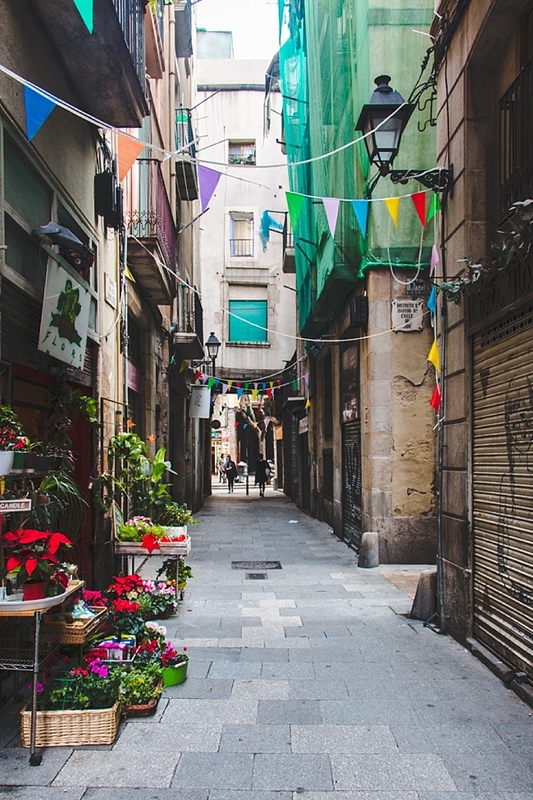 Wandering through the neighborhood back towards are our Airbnb apartment in El Born, we stopped again for MORE tapas and sangria. 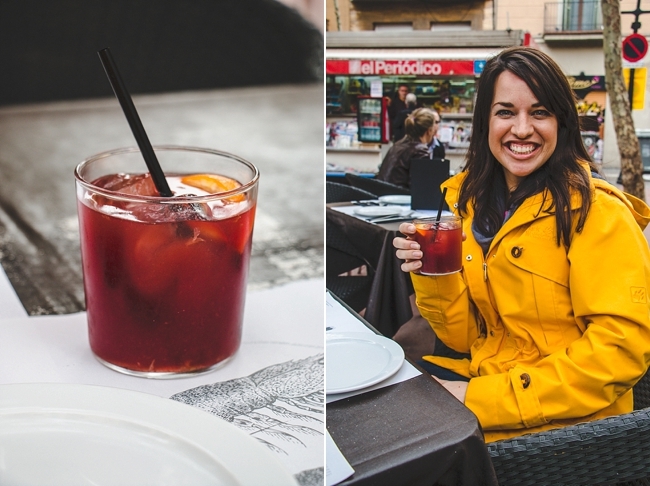 No, we didn’t plan on a tapas and sangria crawl but yes, it happened and it was glorious. 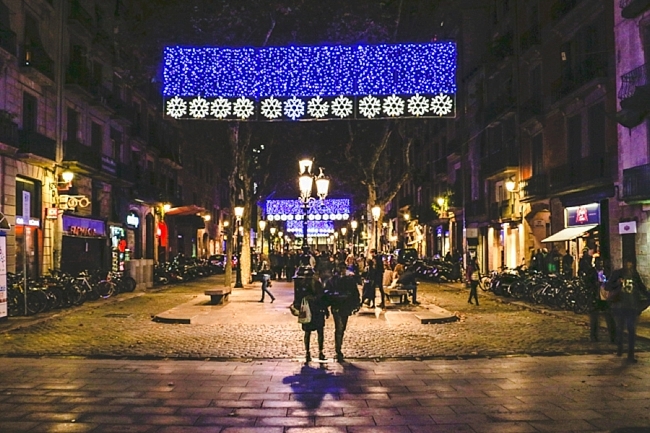 This is just how it goes in Barcelona and who was I to stop it? We stopped at a nearby boutique and I purchased this admittedly World of Wanderlust-y hat then strolled the rest of the way home in a smiling Spanish stupor. 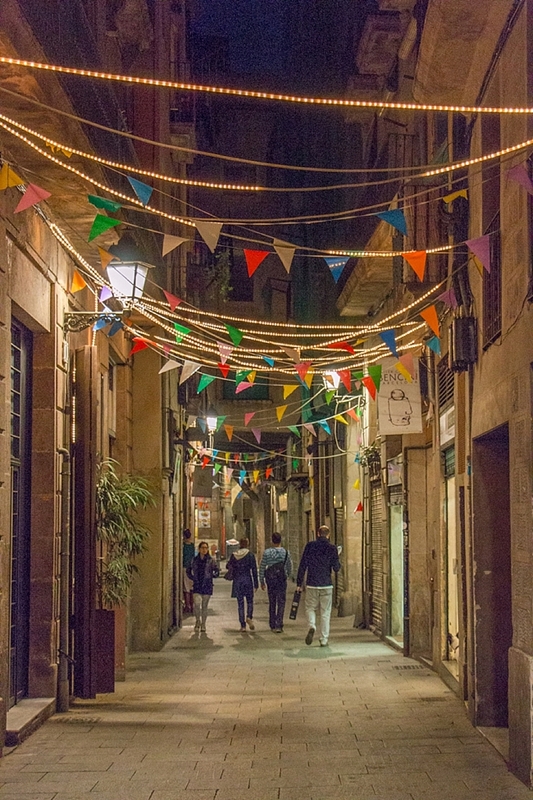 After a near-perfect introduction to Barcelona, we relaxed in the apartment until sundown and took to the little, cobbled, streets of El Born for an evening stroll. 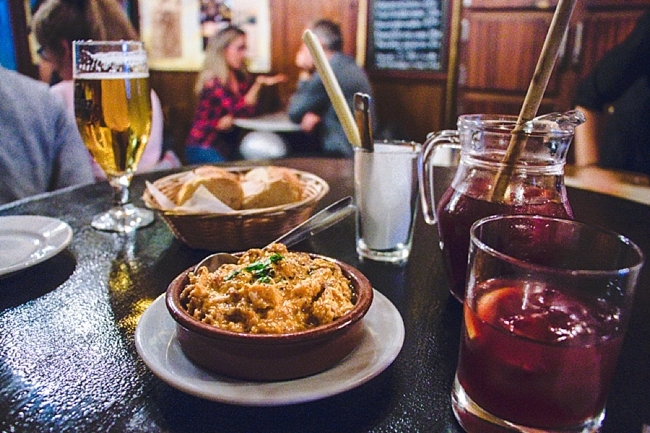 The energy in the neighborhood is tangible, filled with quintessential tapas bars with patrons bursting out to the street, enjoying life, it made for the absolute perfect base for our visit. 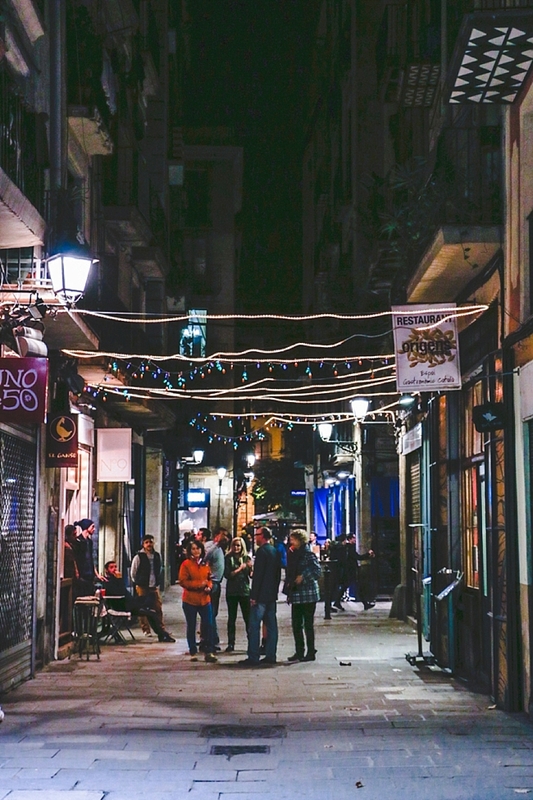 After a final round of tapas (yep, those are patatas bravas again…we’re nuts for them) we spent the remainder of the evening wandering through El Born with little direction. Our visit coincided with an incredibly mild weekend in early December, the holiday lights were up and the temperature was jusssst right for a cold Pinot Grigio al fresco. It was perfect. 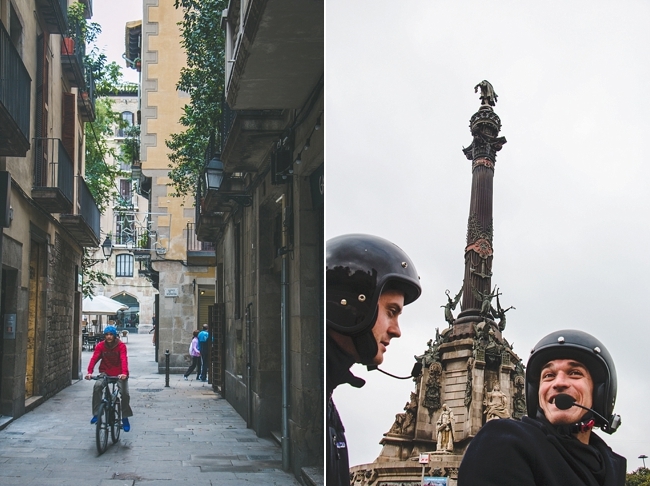 Hat’s off to Joaquin and BrightSide Sidecar Tours for a fun, informative and memorable tour through Barcelona. I can’t think of a better introduction!